176 pages | 13 Color Illus. | 41 B/W Illus. Flooding is the #1 weather-related natural disaster worldwide. 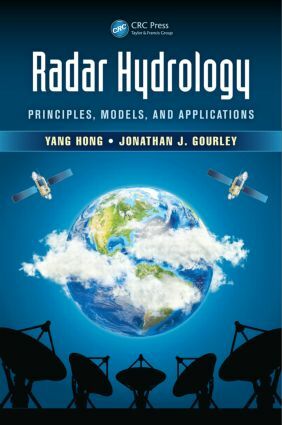 Radar Hydrology: Principles, Models, and Applications aids in understanding the physical systems and detection tools, as well as designing prediction systems. "This is the first book on radar hydrology written by hydrologists. Whereas the excellent knowledge of radar technology by the authors permits an adequate coverage of the principles of rainfall rate estimation by radar, their hydrological background allows them to provide a unique message on the benefits (and on the remaining challenges) in exploiting radar techniques in hydrology. … In a clear and concise manner, the book combines topics from different scientific disciplines into a unified approach aiming to guide the reader through the requirements, strengths, and pitfalls of the application of radar technology in hydrology—mostly for flood prediction. Chapters include excellent discussion of theory, data analysis, and applications, along with several cross references for further review and useful conclusions." Yang Hong is a professor of hydrometeorology and remote sensing in the School of Civil Engineering and Environmental Sciences, adjunct faculty member with the School of Meteorology, co-director of the WaTER Center, faculty member with the Advanced Radar Research Center, and affiliated member of the Center for Analysis and Prediction of Storms at the University of Oklahoma. Dr. Hong also directs the HyDROS Lab at the National Weather Center. Previously, he was a research scientist at NASA's Goddard Space Flight Center and postdoctoral researcher at University of California, Irvine. He holds a BS and MS from Peking (Beijing) University, China and Ph.D from the University of Arizona. Jonathan J. Gourley is a research hydrologist with the NOAA/National Severe Storms Laboratory and affiliate associate professor with the School of Meteorology at the University of Oklahoma. His research interests include hydrologic prediction across scales ranging from water resources management to early warning of extreme events. Dr. Gourley was the principal inventor of a multisensor rainfall algorithm that was expanded to encompass all radars in North America and deployed to several foreign countries for operational use. He also assembled a comprehensive database that is being used to develop FLASH—a real-time flash flood forecasting system. He holds a BS, MS, and Ph.D from the University of Oklahoma.